Dr. Hugh Habas earned his dental degree from Case Western Reserve University. He maintained a private dental practice in Central New Jersey for 39 years as a general practitioner. Dr. Habas was President of the Middlesex County Dental Society, State Trustee for the New Jersey Dental Association, "Board Expert" for the New Jersey State Board Of Dentistry and a Dental Defense Malpractice Expert for the Princeton Insurance Company. He is a past member of the New Jersey Academy of General Dentistry, Past President, co-founder and member of the ITI Raritan Valley Dental Study Club, established 40 years ago, as well as a Life Member of Organized Dentistry and the ADA. 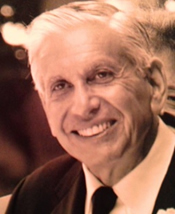 Dr. Knoll attended undergraduate school at Temple University and Hofstra University. He received his Doctorate in Dentistry at Case Western Reserve University in 1971. After two years as a dentist in the United States Army, Dr. Knoll went into practice in Brooklyn, NY with this father. In 1976, Dr. Knoll moved to South Florida. 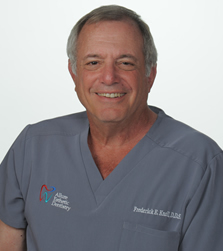 Dr. Knoll has held academic positions as an Assistant Clinical Professor as Nova Southeastern University in the department of Prosthodontics where he taught both Pre Doctoral students and Post Doctoral Students. He was also a Full Professor at the University of Florida School of Dentistry where he taught Post Doctoral residents in Prosthodontics. He now holds the post of Department Head of Prosthodontics at the Florida Institute of Advanced Dental Education, where he teaches Post Doctoral residents and practicing dentists in the field of Prosthodontics (crowns, bridges, implant restorations and cosmetic dentistry). He has lectured extensively on the field of Prosthodontics both locally and nationally for the last twenty years. He is a member of the American College of Prosthodontics, The American Dental Association, and a Fellow of the American College of Dentists. It is no secret that today, with new materials and computerized manufacturing we are planning and building our prosthetic cases in a radically different way. Things are changing so fast, it is difficult to keep up. Our problem as clinicians is the vast majority of us were never exposed or trained in these techniques. The change in manufacturing also requires a change in how we approach our cases, and how we make clinical choices. In this seminar, we will start with the basic material in the modern esthetic case, Ceramics. We will make a case for using this material and will cover its chemistry and structure. Different ceramic systems will be covered along with their clinical implications and how they are handled in the dental laboratory. The last part of the ceramic seminar will focus on those ceramic systems that require CAD CAM manufacturing along with their clinical implications. Our next topic will cover the Science and Art of Color, and how that applies to our ceramic systems. We will go over the complexity of why we make errors in our choices, and what we must do to overcome those errors. We will end our journey by going into the detail of using digital equipment for impressions, how we use planning software, how we mill, what material we mill, how we print, what we print, and how we use Cone Beam technology to plan and integrate with our planning software. Once we cover these topics, we will cover the compromises we make with this technology, when to use it appropriately, and most important, when not to use it. When we have completed this seminar, you should be able to make the appropriate choice of material and manufacturing method to match the case you wish to construct based on what the patient's conditions present to you. LEARN HOW TO MAKE IT HAPPEN! This is a seminar focusing on the tools needed to ensure practice profitability (the net), common mistakes to avoid and systematic investment strategies designed to create economic freedom. It has been estimated that approximately 95% of dentists in the U.S. do not have the financial ability to retire at age 65 and enjoy the same standard of living they did during the years they were in practice. Younger and mid-career dentists are being overwhelmed by student and practice debt, very often with no strategy or clarity on how to manage these challenges. Dentists approaching retirement need to preserve what they have accumulated with the expectation of great longevity. The presentation will be designed to address all these issues with a focus on effective practice management, systematic approaches to wealth-building and asset accumulation during one's career in dentistry. Overhead control - the mistakes we make, with particular attention to payroll expenses and benefits. Holding onto the"fruits of your labor" - i.e., living on less than what you earn and strategies for achieving this goal. Systematic investing - the efficacy of investing in both retirement plans and personally with a great deal of discussion of successful strategies, great rewards and how risk can be mitigated. LEARNING OBJECTIVES: BOTH THE DOCTOR AND HIS OR HER CAREER-ORIENTED PROFESSIONAL STAFF REALIZE INTUITIVELY THAT THEIR ULTIMATE PROFESSIONAL AND FINANCIAL SUCCESS AS WELL AS THEIR OWN RELEVANCY IS CONNECTEDTO THE ULTIMATE SUCCESS OF THE PRACTICE. It has been estimated that approximately 95% of dentists in the U.S. do not have the financial ability to retire at age 65 and enjoy the same standard of living they did during the years they were in practice. Younger and mid-career dentists are being overwhelmed by student and practice debt; very often with no strategy or clarity on how to manage these challenges - dentists approaching retirement need to preserve what they have accumulated with the expectation of great longevity. This presentation is designed to address all these issues with focus on effective practice management, systematic approaches to wealth-building and asset accumulation during one's career in dentistry. An understanding that getting out of debt and establishing a pathway to economic freedom is when all the fun of practicing dentistry begins. INVESTING FOR GROWTH VS. INCOME? 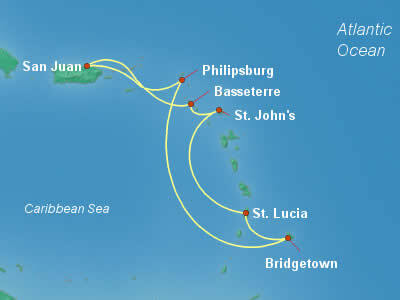 How do you choose a "FINANCIAL ADVISOR"
St. Johns, Antigua - Saint John's is the capital of the island nation of Antigua and Barbuda. Located in northwestern Antigua, this is a cove of the Caribbean Sea, a major exporter of sugar, rum, cotton, handicrafts, fiber-made items, ceramics and fabrics. The city is also a tourist destination. St. John's skyline, capital and major city in Antigua and Barbuda, is mastered by the baroque magnificence of the St. John's Cathedral's dome and steeple.